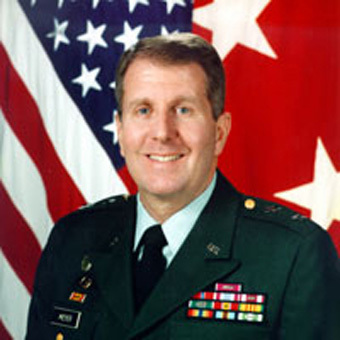 John G. Meyer, Jr. retired from the United States Army in 2001 as a major general after 33 years of distinguished service. He started his military career as a military police officer and held several high-level leadership and human resource positions, culminating his career as the Army’s most senior Public Affairs Officer. In that capacity, he effectively led and managed the strategic communications for worldwide external and internal audiences for the U.S. Army. He conceptualized, designed and implemented an award-winning crisis communications strategy for the Army during a period of intense media and congressional scrutiny. Prior to this position, he was the Chief Executive Officer of the Army’s $1.3 billion international morale and recreation business, encompassing the Army’s quality of life programs. 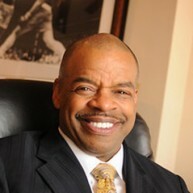 He managed this large organization providing direction, personnel management, professional development, and training. In this position, he was fully accountable to an internal executive Board of Directors on the strategy, budget and results of all policies and programs. He is a graduate of Florida State University and obtained a Master of Arts degree from Sam Houston State University. 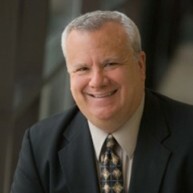 He is also a graduate of Duke University’s Advanced Management Program. He authored “Company Command: The Bottom Line,” an authoritative leadership book widely used throughout the Army and other services. Currently, he is the Chief Executive Officer of The Heckler & Koch Group (H&K), which is a leading private international firearms manufacturer with facilities in Oberndorf, Germany, London, and Sterling, Va.
After leaving the Army, he served as Chief Executive Officer and President of the Allied Defense Group, Inc. Allied Defense is a strategic international portfolio of defense and commercial security firms. It is a publicly-traded company with revenues of $170 million with six subsidiary companies: two in Belgium, two in California and two in Texas. Allied’s vision is to grow to $400–500 million, with nine-to-twelve subsidiary, holdings in the next four or five years. 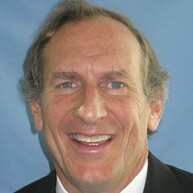 Mr. Meyer, a versatile senior executive, has a strong record in developing and implementing strategic programs, team building, managing large budgets, and optimizing fiscal efficiency. He brings 36 years of experience in the fields of law enforcement, human resource management, business and business communication.